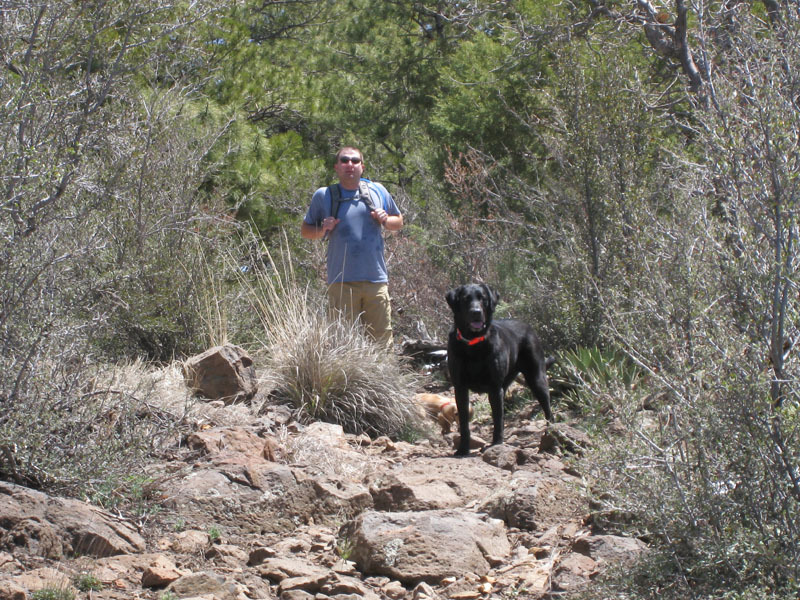 We recently hiked the Woodchute Trail for the 2nd time in our brief Arizona Hiking careers. 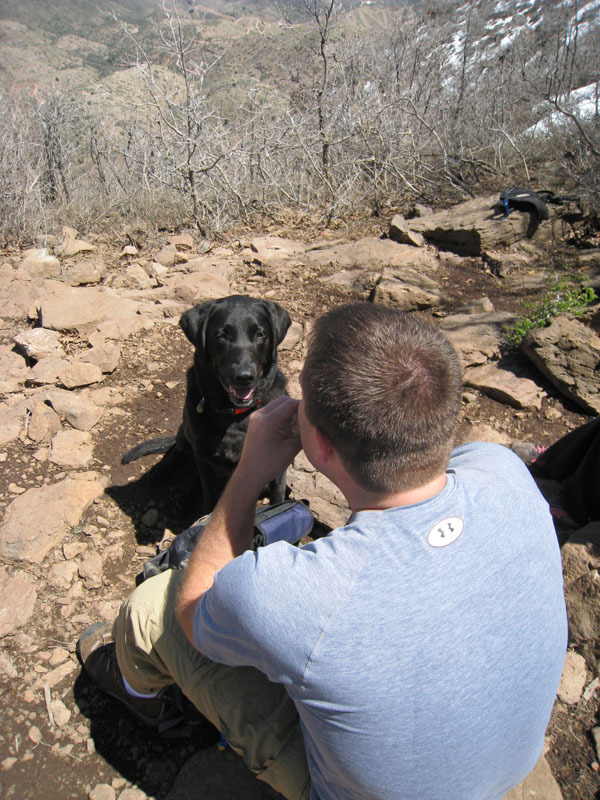 After getting married in Hawaii in October of 2008 we decided on the plane ride back that we should experience more in the Arizona Outdoors than we had in the previous years that we both have lived in Arizona. 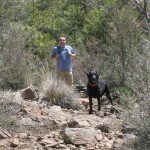 We purchased two books and after a decent search we settled on the Woodchute Trail near Jerome. I can tell you that the 2nd go around was much easier than the first. I assume that’s because we were out of shape and we also knew what to expect from the trail. The first time we went in November and this go-around was at the end of April. 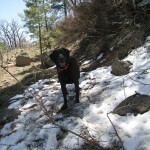 Timing for the 2nd time we hiked because we found some snow and also some squishy goings toward the summit of the hike. It wasn’t all snow . . . 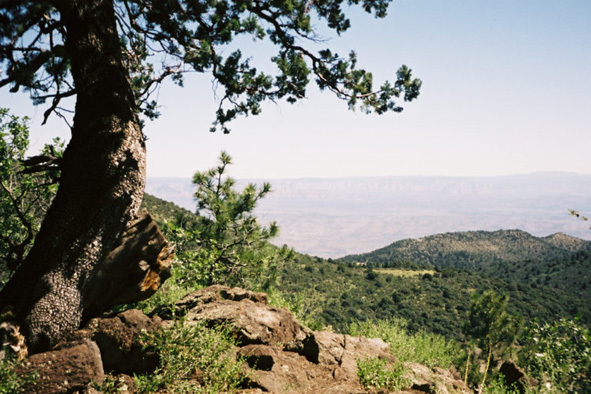 The Woodchute Trail cuts across the Woodchute Wilderness, taking you to the top of Woodchute Mountain, a mesa overlooking Jerome and the Verde Valley. 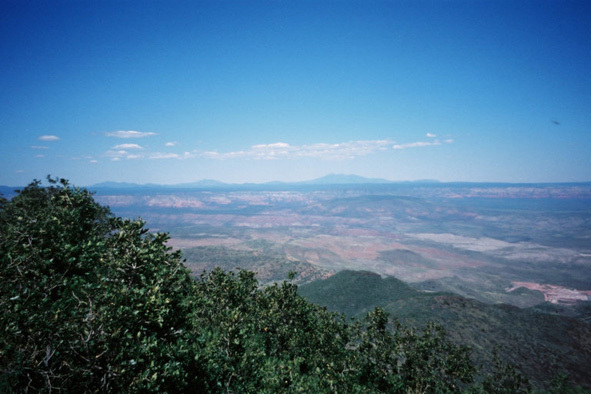 Along the way, you’ll be treated with far reaching views of most of Central Arizona. Park at the new trailhead constructed near Potato Patch Campground. 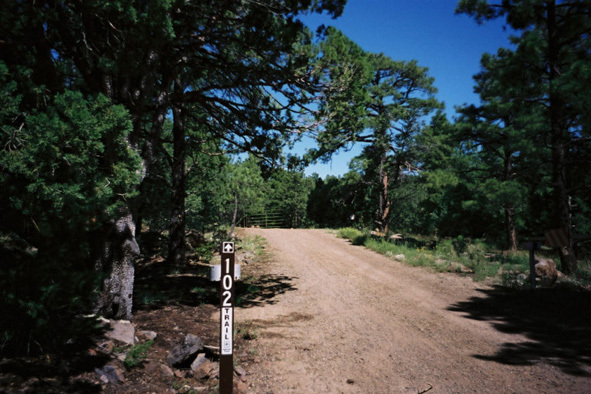 (You can drive back to the original trailhead, about 1/2 mile up FR-106. This section of road is very rough in spots, it is recommended for high-clearance vehicles only.) Begin walking along FR-106, passing through a gate into a small camping area. 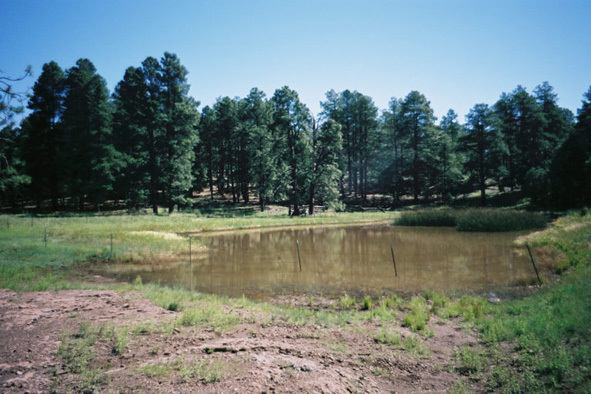 Beyond the camping area, you will come to Powerline Tank Wildlife Area, an enclosed meadow and watering tank. 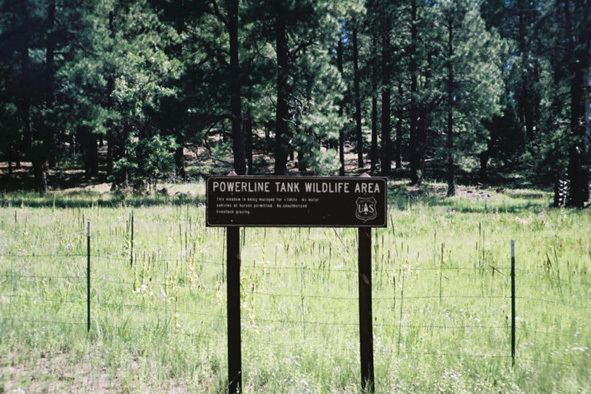 An interpretive sign is placed next to the tank explaining the purpose of the area. The road here forks in several places, keep to the right and shortly you will come to the original trailhead. 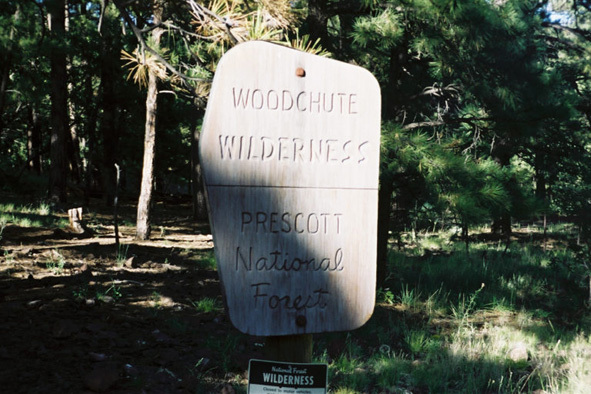 From here, the trail enters the Woodchute Wilderness, and begins to climb gently through the forest around a steep-sided hill. 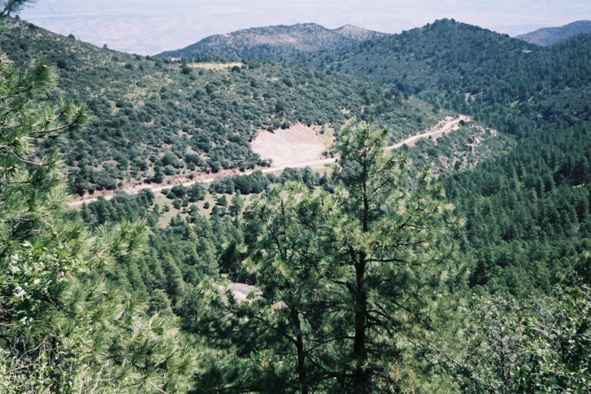 As it passes around to the north side of the hill, highway 89-A will come into view, and for a while, the sounds of the forest will be occasionally drowned out by the roar of traffic. Eventually you’ll pass out of range of the road noise, meanwhile, the views along this section are worth putting up with the highway for awhile. 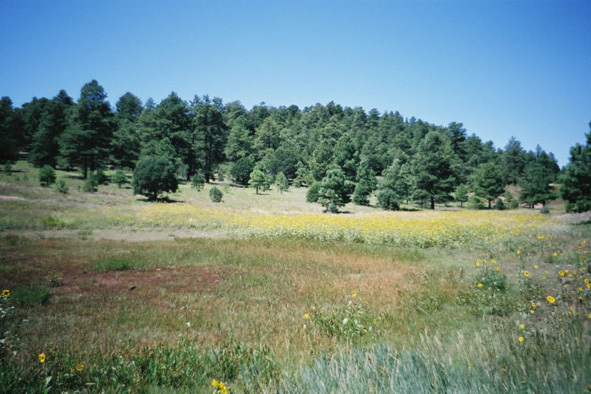 The first of several saddles will be reached offering great views of the Verde Valley and the San Francisco Peaks to the north. 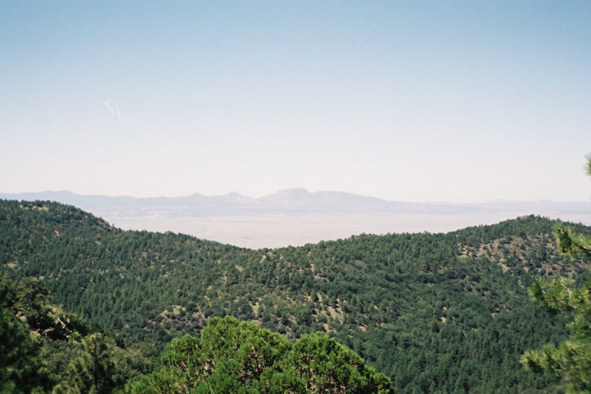 To the south are views of Prescott Valley and Granite Mountain. 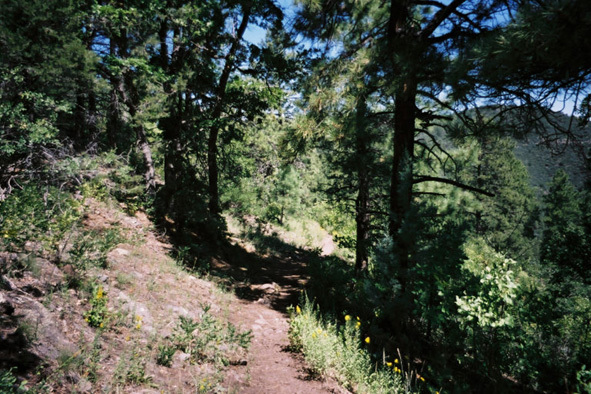 A short steeper climb will bring you to a higher saddle just east of a small peak, which the trail bypasses to the south. 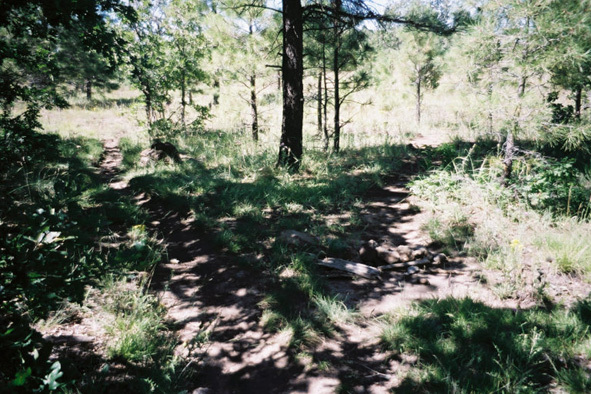 There is a side trail to the right that will take you to the top of the peak. 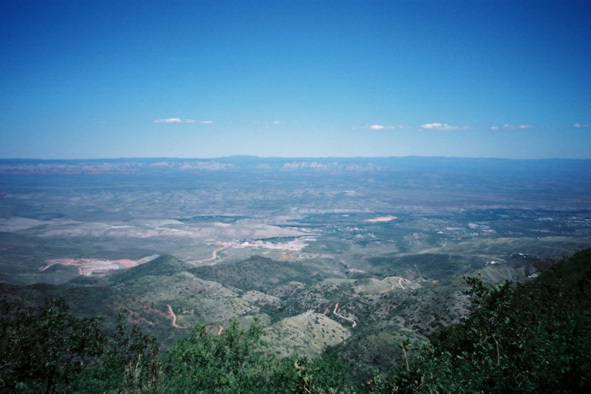 It is well worth the short climb to see the views from there. 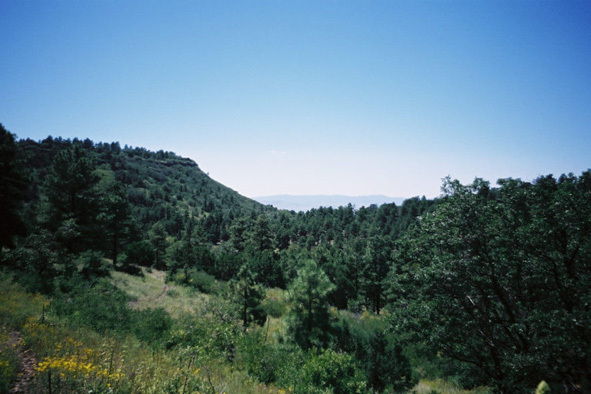 Beyond the peak, the trail drops to another saddle then begins to travel downhill to the back of a canyon sandwiched by Woodchute Mountain and a smaller mesa. 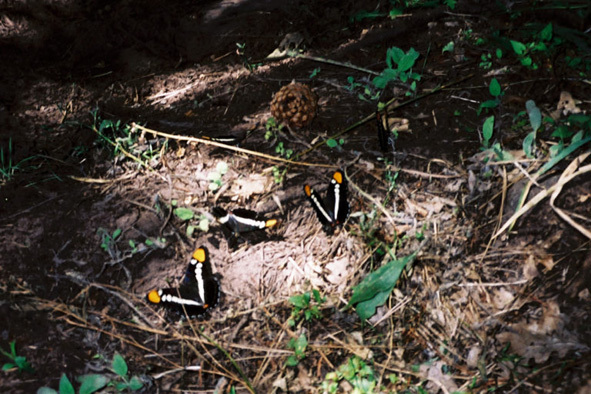 At the back of the canyon the trail crosses a dry creek bed inhabitated by swarms of butterflies. 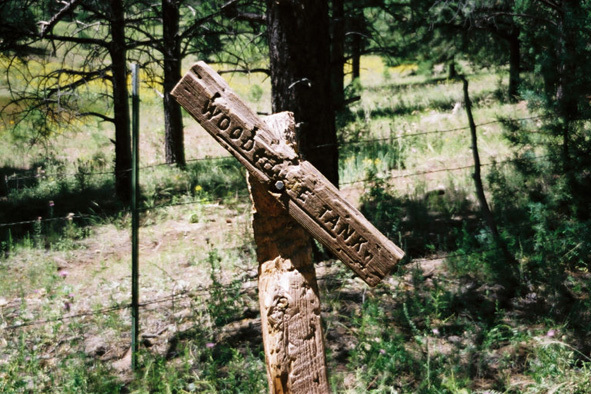 From here a short distance will bring you to Woodchute Tank. This tank was built by a bulldozer, which was also used to build the first part of the trail itself. A side trail passes through a fence and follows along the tank, the main trail stays to the right. 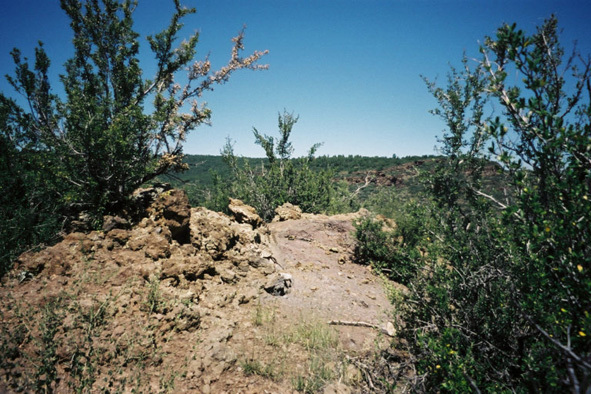 Beyond the tank, the trail begins to climb through the meadows along the side of Woodchute Mountain, giving nice views of a small valley cradled by the surrounding mesas. 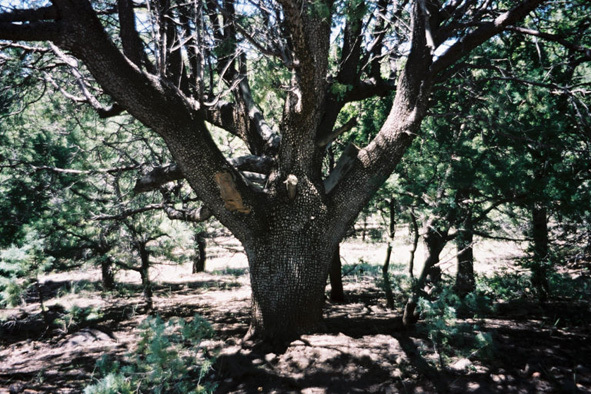 A large alligator juniper signals the top of the mesa. 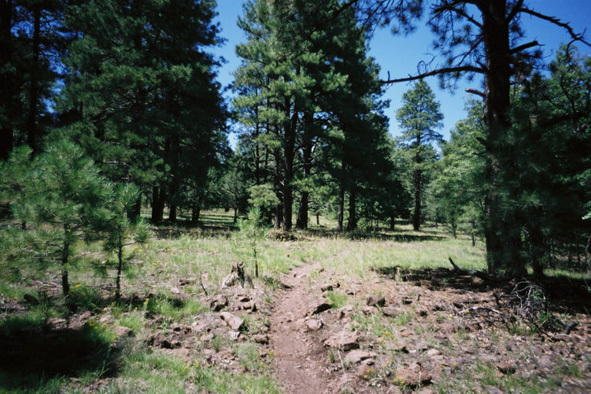 After topping out on the mesa, the trail continues through alternating forest and meadows and after about 1/2 mile, reaches a fork in the trail. 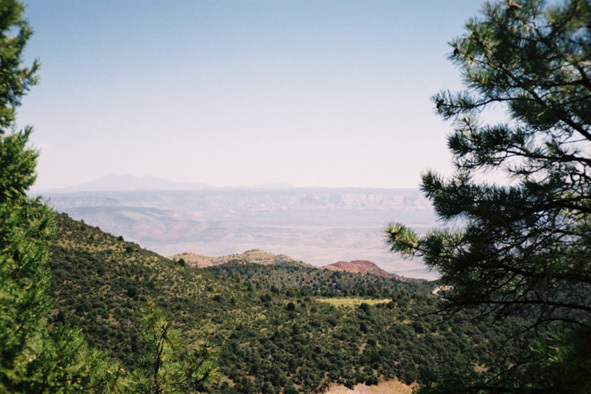 The right fork leads to the mesa’s edge and great views of Cottonwood, Jerome, Sycamore Canyon, the Sedona area and beyond. 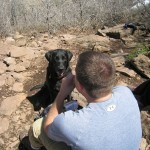 Thanks to Hike Arizona for the review. 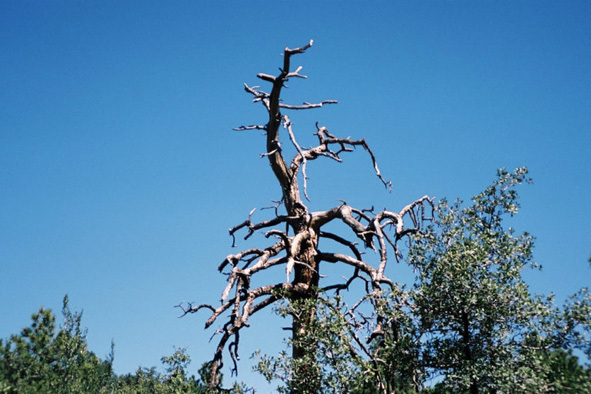 Directions to trail: Take highway 89-A south from Cottonwood, or north from Prescott, to the turnoff for Potato Patch Campground at Mingus Pass (where the highway tops out). Turn west, after .3 miles turn left onto FR-106. Park at the south trailhead here, or open the gate and drive 1/2 mile (high-clearance only) back to the original trailhead. Access and trailhead location: The best access to this trail is from Hwy. 89A. 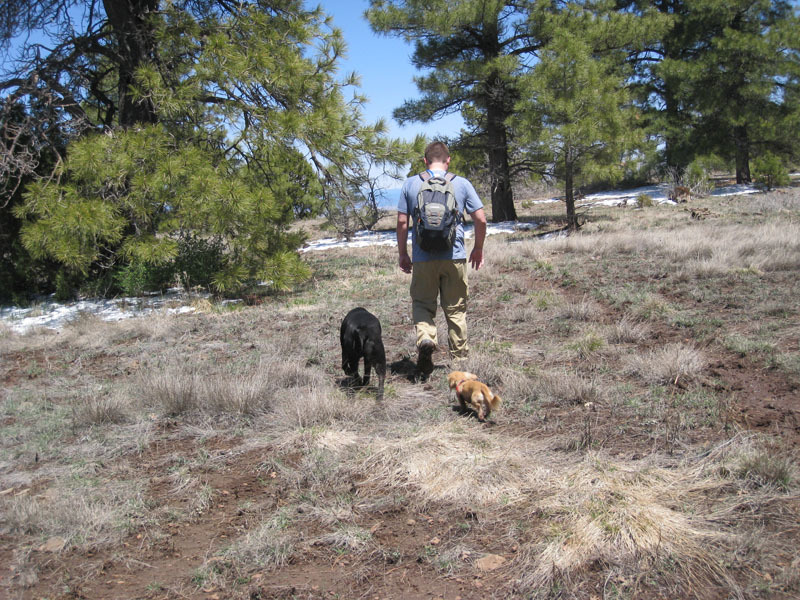 Go to the Potato Patch Campground just east of the summit on 89A. Then take FR 106 west for 0.3 miles to the power line. The trailhead is just under the power line. FR 106 is suitable for high clearance vehicles in fair weather. 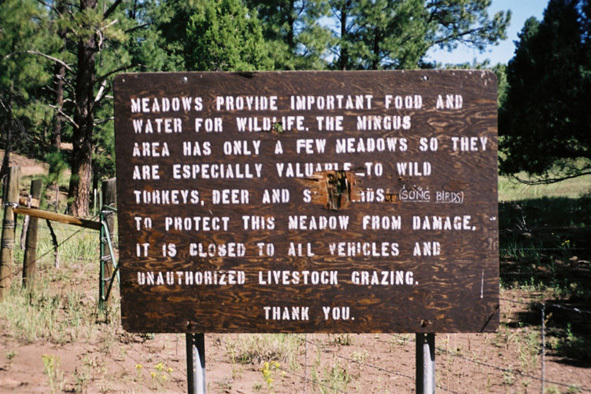 This road is not maintained. 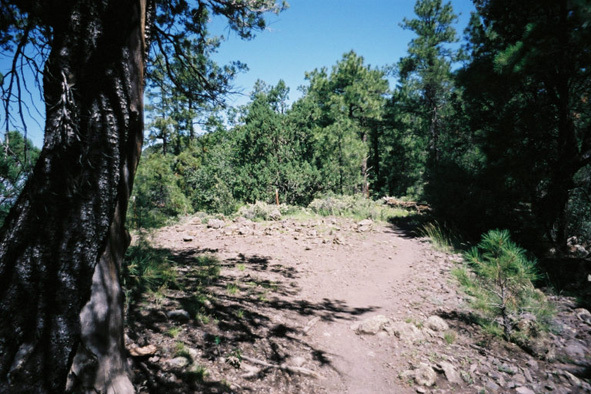 This trailhead is scheduled to be moved closer to the Potato Patch Campground. Alternate access from the Chino area is by way of FR 354 to just south of Perkinsville. 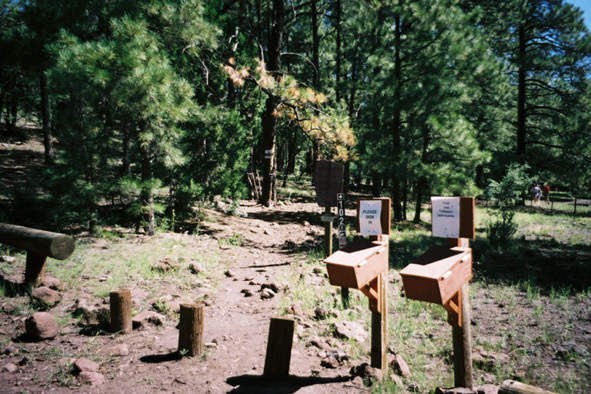 Take FR 318 south from there, then west on FR 318A for 1.3 miles to the north trailhead. 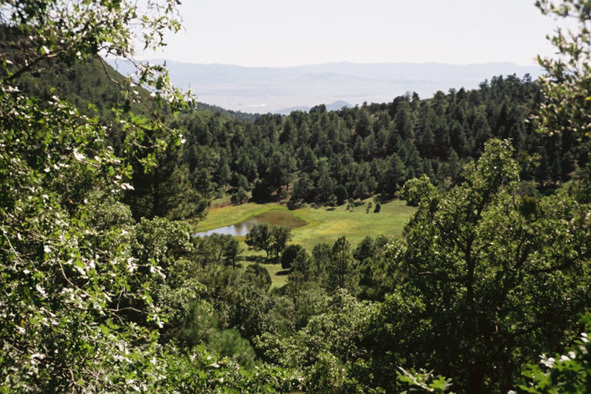 Access from Jerome is also by way of FR 318 around the north side of Woodchute Mountain. 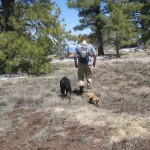 It is good to hear that you guys are trying to experience your local trails. My new hubby of the past year and I are trying to do the same thing. 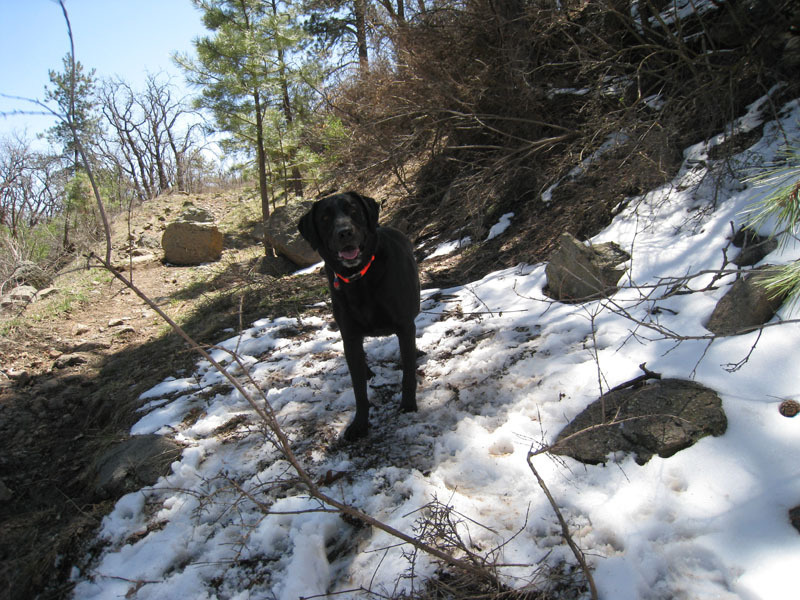 We both love the outdoors and want to be one of those healthy couples not a couch couple.